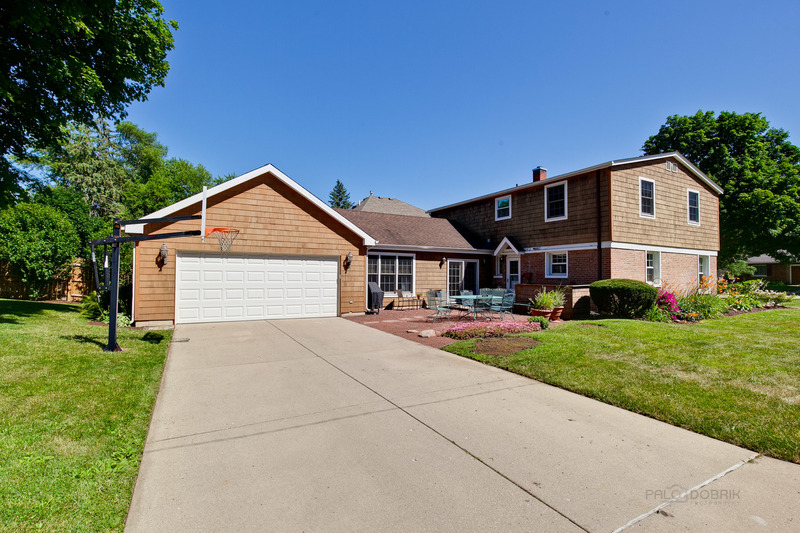 Virtual Tour 10+++ Move Right into This Beautiful 4 Bed 3 Bath House in the Heart of Libertyville. This Sprawling Home offers a Spacious Kitchen with Custom Cabinets, Granite Counters, SS Appliances, Pantry and Move-able Island. Formal Living Room and Dining Room. Large Family Room with Gas Fireplace. 1st Floor Update Full Bath. Master Bedroom Retreat with Private Full Bath. 3 Remaining Large Bedrooms with Ample Closet Space. Hardwood Floors Throughout Second Level. Freshly Painted Throughout. Beautiful yard with Patio Space and Dog Run. Close to Schools, Parks, Town, Bike Paths.